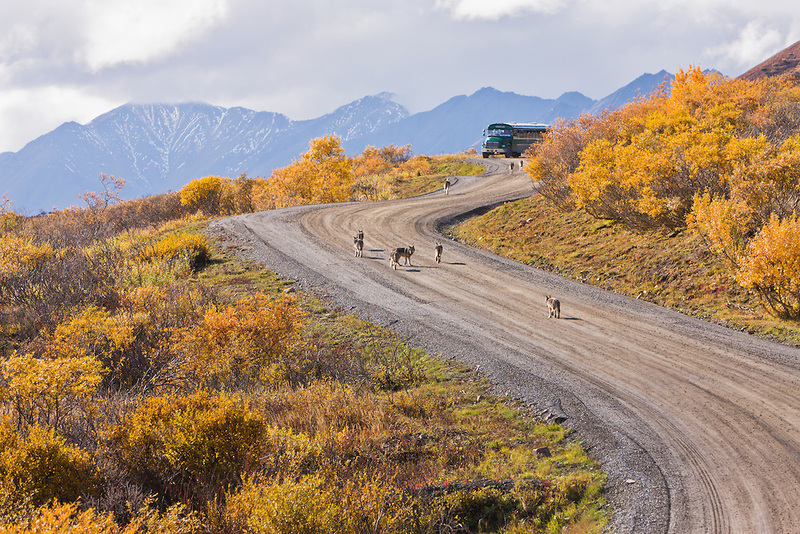 Nine wolves (Canis lupis), part of the Granite Creek Pack, walk along the Denali Park Road toward a stopped camper bus with the Alaska Range in the background in Denali National Park in Southcentral Alaska. Fall. Afternoon.